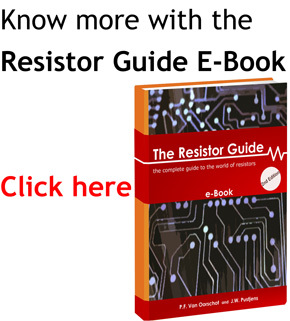 This category contains several interesting resources related to resistors. Including several interesting books on the subject of resistors and electronics, suppliers where you can buy different electronic components and an overview of resistor manufacturers. The books page contains a collection of interesting books with in-depth information on resistors, other electronic components and electronic design in general. The suppliers page contains an overview of some of the suppliers, for hobbyists as well as for professionals. The different general and specialized resistor manufacturers are listed here.